Jacob’s awestruck response to his encounter with the pre-incarnate Lord Jesus (Genesis 28:16-17) is very relevant for us today. He said “This is none other than the house of God; this is the gate of heaven”. In my previous post I pointed out that in John 1:51 Jesus made it clear that He himself is the gate of heaven, the way to heaven, the interface between the earthly and the heavenly. In Colossians 1:15 Paul calls Jesus ‘the image of the invisible God’, and in 2:9 declares that ‘in Christ all the fullness of the Deity lives in bodily form’. The writer of Hebrews confirms this with the words; ‘The Son is the radiance of God’s glory and the exact representation of his being (Hebrews 1:3). Jesus is the face of the triune Godhead. He is the manifestation of God to humanity. Jesus Christ is therefore central to all we believe and practice. But how aware of this are we, and how do we give effect to this glorious truth? 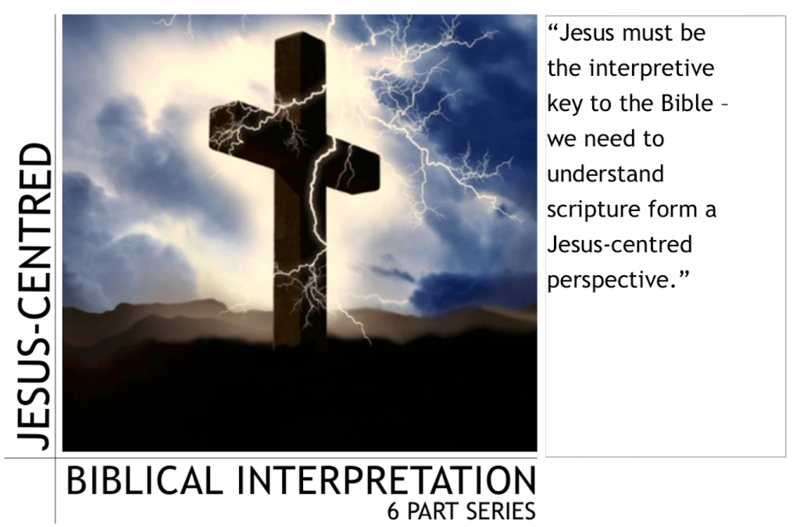 Jesus must be the interpretive key to the Bible – we need to understand scripture form a Jesus-centred perspective. The starting point for our theology needs to be what Jesus said and did. All of our understanding of the entire Bible needs to be informed and transformed by what Jesus reveals of the nature and character of the Godhead. I have written much about this in my book ‘Truth is the Word – restoring a lost focus’. Secondly, If Jesus is truly central to our Christian lives then we will focus on developing a personal relationship with him. The essence of the Christian faith is not rules and regulations, or law, or theology, or tradition… it is a living relationship with the Lord Jesus Christ. At a corporate (church) level, the centrality of Jesus must affect how we pray, share, minister and sing. Our songs should be predominately about him and to him rather than just about how good we feel because of what he has done for us. Our preaching and teaching too should be focused on Jesus. The late 19th century Baptist minister Dr A.J. Gordon told a story about a Jacob-like dream that transformed his preaching ministry. It was late on a Saturday night and he had not yet completed his sermon preparation. He was fretting about what the congregation would think of his ill-prepared message, but he was so tired that he fell asleep right there at his desk. As he slept he had a vivid and compelling dream. He saw himself standing in the pulpit just as he started to address the people. A stranger walked into the auditorium and sat down next to one of the church deacons. As he preached Dr Gordon’s eyes kept going back to this stranger for there was something familiar and compelling about him. At the end of his message he asked the congregation to join him in prayer and when he opened his eyes the stranger had gone. At the conclusion of the service he hurried over to the deacon and asked, “Who is that man who was sitting next to you?” The deacon looked greatly surprised and responded, “O, surely you recognised him, it was the Lord Jesus.” Dr Gordon recalled that from that moment on he never again worried about what his congregation thought of his sermons, and he never again short-changed his preparation; all he cared about thereafter was what Jesus thought of his messages. He had come to realise that Jesus, by the Spirit of Christ, is present at our church services and is listening to all we say and observing all we do. In my next post I will develop Jacob’s response a little more fully….